Structural Steel Manufacturers throughout South Africa. WEP Engineering specialises in Designing, Manufacturing and Erecting all types of Steel Structures according to the client’s specifications. WEP Engineering specialises in Structural Steel Framing. Contact us for all your Structural Steel Framing requirements. 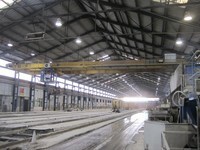 We also supply Side Cladding for our Steel Structure Buildings. 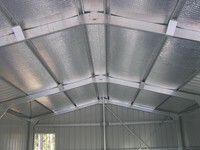 WEP Engineering supply Roof Insulation with our Steel Building Structures.